This case study focuses on Antardrishti– an audio-visual musical performance that was staged in Britain and India in September 2018. Antardrishti – Inner Vision was an Unlimited International Commission which celebrated the work of disabled artists. It was produced by Baluji Music Foundation with support from British Council, Greater London Fund for the Blind and PRS Foundation. The project was produced by Baluji Music Foundation Ltd and led by Baluji Shrivastav who composed, directed and performed the music with UK’s Inner Vision Orchestra plus guest musicians from India. All the musicians performing were blind. Founded by Baluji Shrivastav, Inner Vision Orchestra is the only blind orchestra in the UK. They were collaborating with outstanding blind musicians from across India, alongside digital artists Addictive TV who brought an innovative visual dimension to the project, together with Arunima Kumar Dance Company. There was narration written and performed by the award-winning blind storyteller Giles Abbott and lighting design was by David Abra. The narrative of the performances was an exploration of Chapter 11 of the Bhagavad Gita. In this portion of the saga, Krishna is given divine sight. This obviously had a personal resonance of Baluji and the Inner Vision Orchestra and this performance explored the concept of divine sight. Baluji contributed the artistic vision and musical strand to the performance and he collaborated with others to create so that the story could be expressed not only through music but also narrative, visually and through dance. Addictive TV are an electronic duo who present audio-visual performances based on sampling and remixing. Addictive TV joined the Baluji on a two-week research trip to Goa. While there they filmed the sights and sounds of everyday Indian life. They visited a small market and made field recordings- of someone chopping a coconut in a market, the sound of temple bells ringing and other scenes that had an element of musicality- and these sounds and visuals were cut and edited together for the performance. While in Goa the Inner Vision Orchestra and Addictive TV were joined by the blind dancers who would dance with fire and hold lamps in their hands. This was a powerful visual metaphor, rooted in the narrative, that those who cannot see are the bringers of light. On returning from the research trip Baluji and producer Linda Shanson applied for funding to take the show on tour. One of the conditions for the funding was that the tour would be international and the original intention was that it would include Spain. The logistical and financial challenges made this impractical and it was decided that the production would visit only Britain and India. There were four performances- at London’s Southbank Centre, Norwich and two in India in Delhi and Mumbai. The Indian performances featured 8 musicians and 2 dancers. The original plan to use blind dancers had to be changed because of a change of management at the dancers’ institute and instead, Baluji chose to work with the Arunima Kumar Dance Company, who are based in the UK. The two Indian shows took place at the British Council Theatre in Delhi and the Royal Opera House in Mumbai. The performance was staged in front of sold-out audiences in both venues- around 200 in Delhi and 400 in Mumbai. It was the 70th anniversary of the British Council in India and this performance was part of the British Council’s celebrations of this anniversary. What worked well/what was learnt? The logical challenges of mounting a tour such as this one were considerable. The musicians included some who had never travelled outside of India and thus the process of securing visas and air tickets for individuals who were blind, did not speak English and had very little experience with the practicalities of international travel was time-consuming. And yet the fact that the tour took place was evidence that while challenging such a tour is eminently possible. So among the most important things learnt was that the blind musicians learnt how to adapt to new situations and to work outside of their comfort zone. 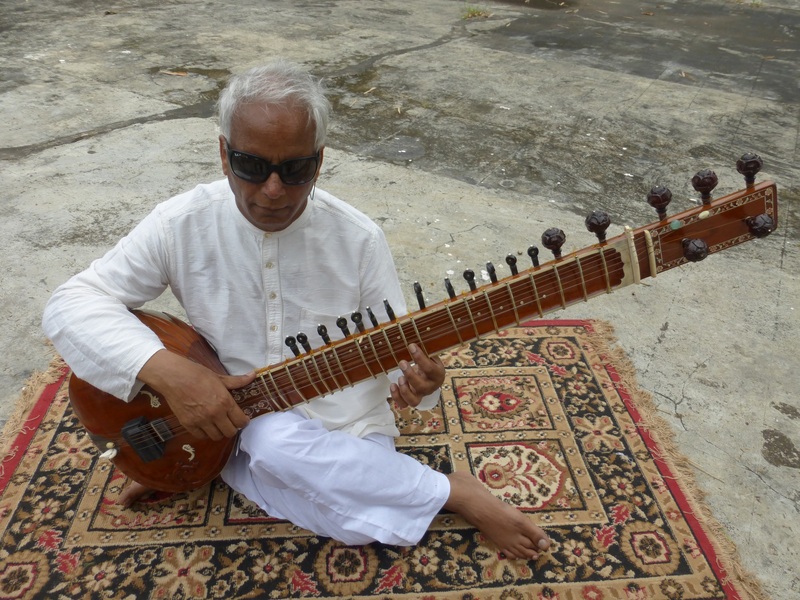 The lesson and legacy of Antardrishti, for Baluji, is to prove that that people should not be afraid of working with visually impaired people and they should accept them for the artists they are. The performance shone a light on the capability and potential of people who can’t see while at the same time suggesting that it is those who refuse to accord visually impaired artists the respect and opportunities they deserve who are truly blind.